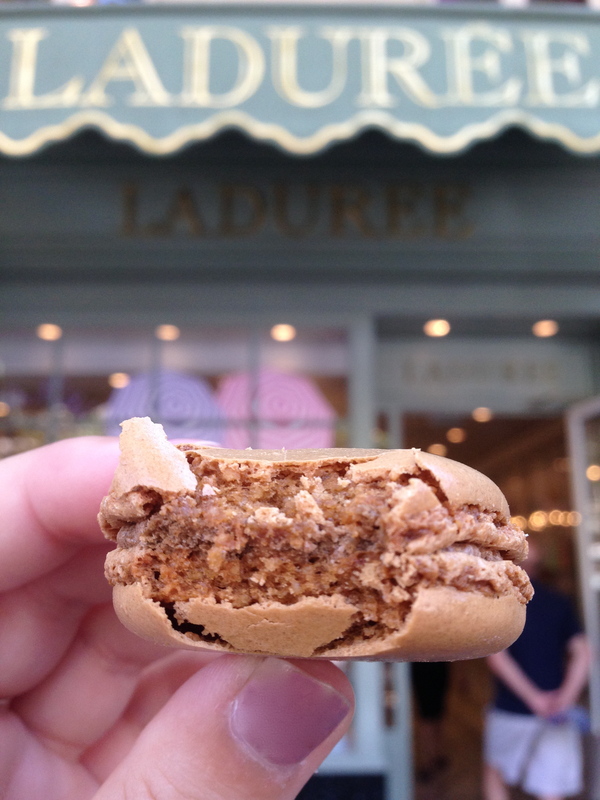 It’s no secret that some of the world’s sweetest treats hail from the shops of Paris. A conglomerate of cultures, Paris’ extensive gastronomie showcases the star delicicies from every region in France from Basque to the heavily Belgian influence in the North. Here’s seven of Paris’ best patisseries that will take you on a trip around France and satisfy any sweet tooth. Each treat is different, delicious, and worth the calories–but you may want to skip the metro ride and walk, just in case. This wheel of goodness, a commemoration to the Paris-Brest-Paris bicycle race founded in 1891, is made of a rich praline creme sandwiched between two choux pastry cookies. Sound positively decadent? You could say it’s the pastry of your dreams. The canelé (or cannelé) is a longstanding specialty in the southwest of France and has a caramelized shell and a sweet rum-vanilla-custard center. It’s most commonly seen around Paris in the Caneles Baillardran popup shops, but Pierre Herme just does it best. If their whimsical window displays don’t get you, their treats waiting inside will–most notably, the classically Parisian macaron. Pair with a pot of chocolate chaud on a cold day. This place puts a twist on pastries by taking flavors like matcha green tea and black sesame and pairing with traditionally French macarons and cakes. It’s that blend of unusual and delicious that makes this place worth the visit. Berthillon: Come for the ice cream, stay for the view of the Seine and Île de la cîté. When it comes to ice cream, Berthillon takes the cake. Choose from one of their dozens of ice and sorbet flavors or mix and match a few. Grab a seat and people watch, or take it to go and stroll the Seine. Also known as the Napoleon, this pastry of a thousand leaves is a three-layer sandwich of puff pastry and thick whipped vanilla cream. Because Jacques Genin now dedicates most of his time to chocolate, the pastries here are made to order and in limited supply but are the flakiest, tastiest and most perfectly powdered you’ll find in Paris. Angelina, just across from the Jardin Tuileries, calls the mont-blanc the pride and joy of the shop, and has since its opening in 1903. Made of chestnut cream and a mountain of merengue and whipped cream, the mont-blanc is appropriately named after the highest peak in the Alps. Everything looks so good. Do you have a favorite? They’re all amazing…but I can never leave Paris without a box of rose and pistache macarons from La Durée!